Foraging is an important part of my spiritual path, as it is one of the ways that I build a closer relationship with nature. I also think its an important part of the “oak knowledge” that druids should consider cultivating. 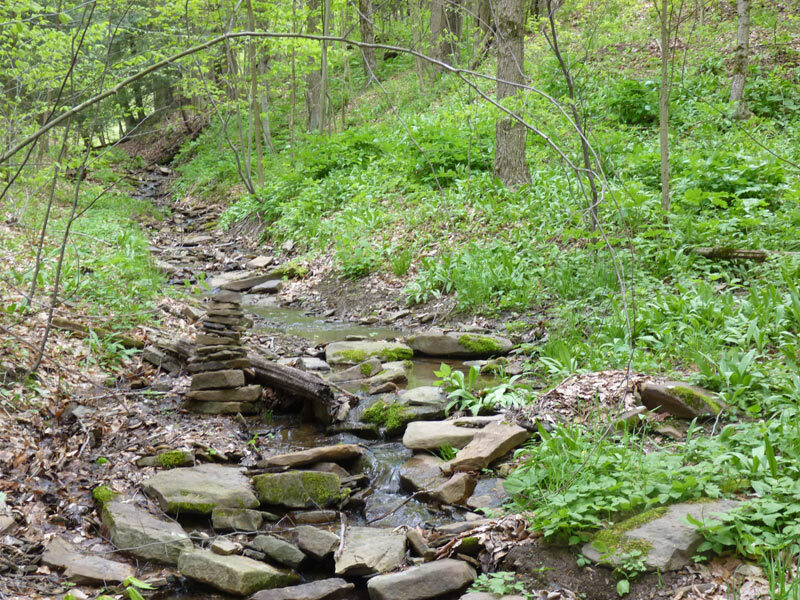 As we regain our understanding of the plants, trees, and herbs around us, we grow closer to that landscape. By harvesting food from my backyard growing wild, I’m taking that landscape within and allowing it to nourish me. This nourishment comes in many forms, and not all of them are physical. As our amazing spring returns after a long, hard, winter, I am so excited to get out there and enjoy wild foods! 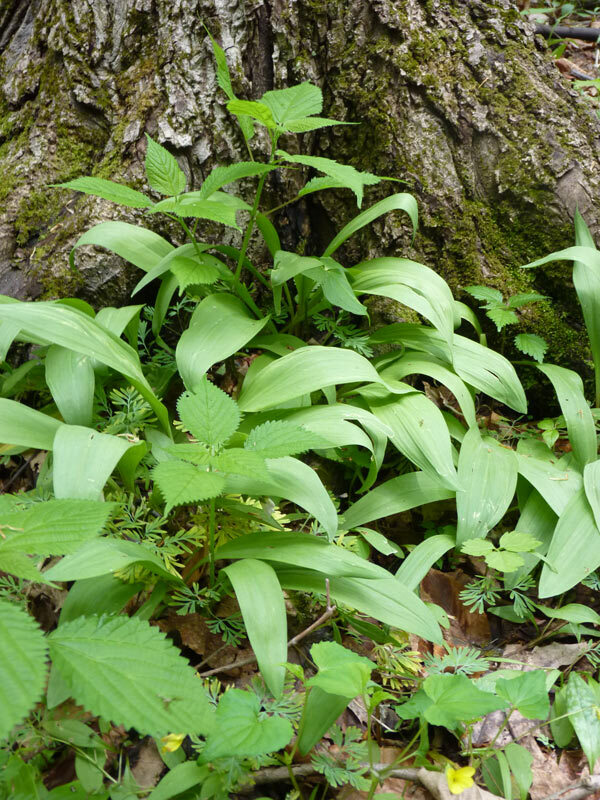 The early spring or late fall is a wonderful time for wild foods. 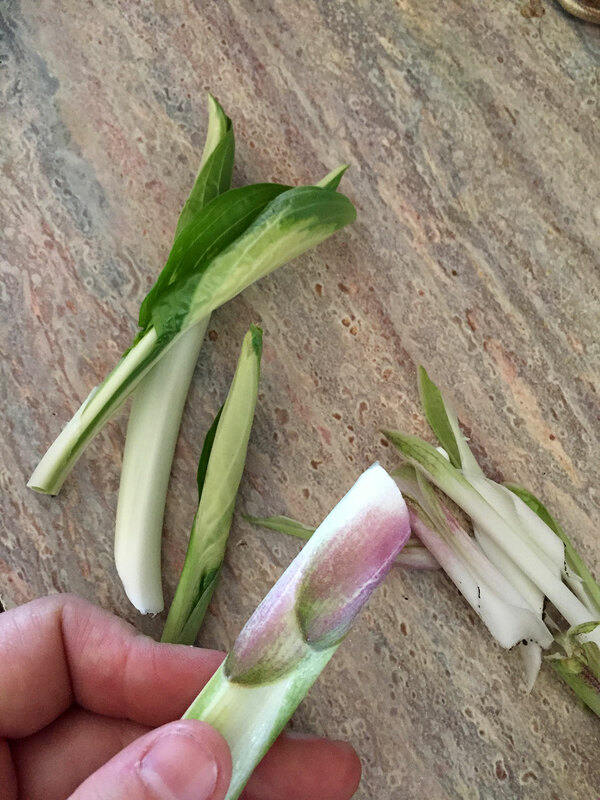 From violets to ramps to dandelion greens and dryad’s saddle and morel mushrooms, the leafy veggies, edible flowers, and mushrooms are just amazing. What I like about fall is that many of the things you enjoyed in spring are back again, for round two, before the winter sets in. Today I’ll be covering Burdock. My experience is with arctium minus (common burdock) but what I’m saying can also apply to other burdock species, such as great burdock (arctium lappa). Samuel Thayer, in his awesome book Forager’s Harvest suggests that the great burdock is more tasty than the common burdock. But I only have common burdock, and it tastes just fine to me! Burdock is a wonderful plant, despite the fact that most people who encounter it only remember it for its spiny seed pods that stick to you–and everything else. 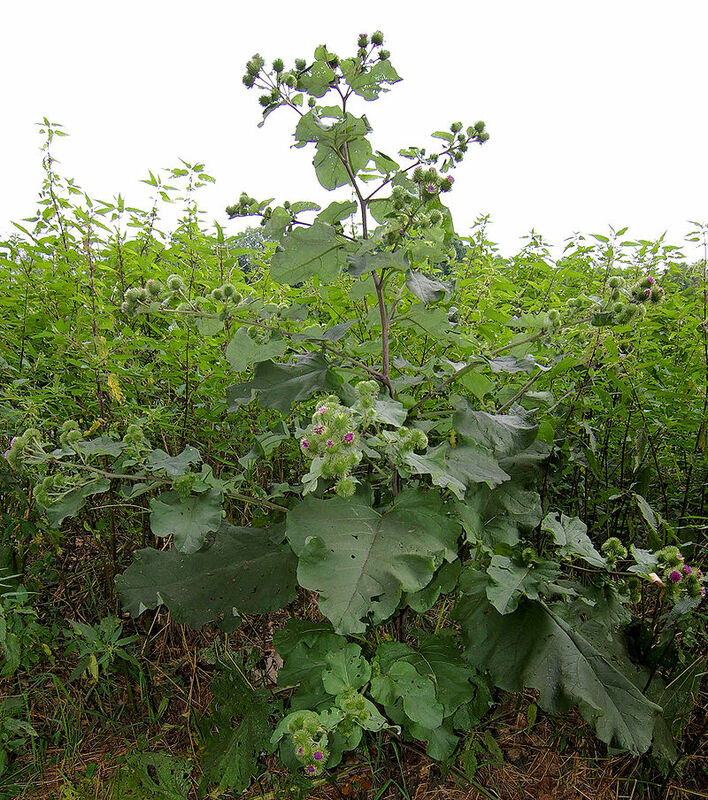 Burdock is often one of those plants that end up on various township and city’s “noxious weed” lists because of its seed pods. And yes, they can be absolutely wretched and itchy if they end up stuck to your clothing, socks, hair, and so forth. And yet, here is a plant that provides us with nutritive, healing food and medicine anytime the ground is not frozen solid. Burdock primarily is a nutritive and metabolic tonic; that is, it is rich in minerals and vitamins, and eating it is beneficial for digestion. It is best eaten fresh or tinctured. For a complete list of burdock’s medicinal qualities, I highly suggest Jim McDonald’s discussion of burdock. Grieve’s Modern Herbal also has a nice entry. Burdock is one of those great plants that you can eat like food, cause it is food, but it has such good medicinal qualities that its like medicinal food. Its really great and, I think, is really unappreciated! You can find Burdock three seasons of the year–in spring, summer, and fall. 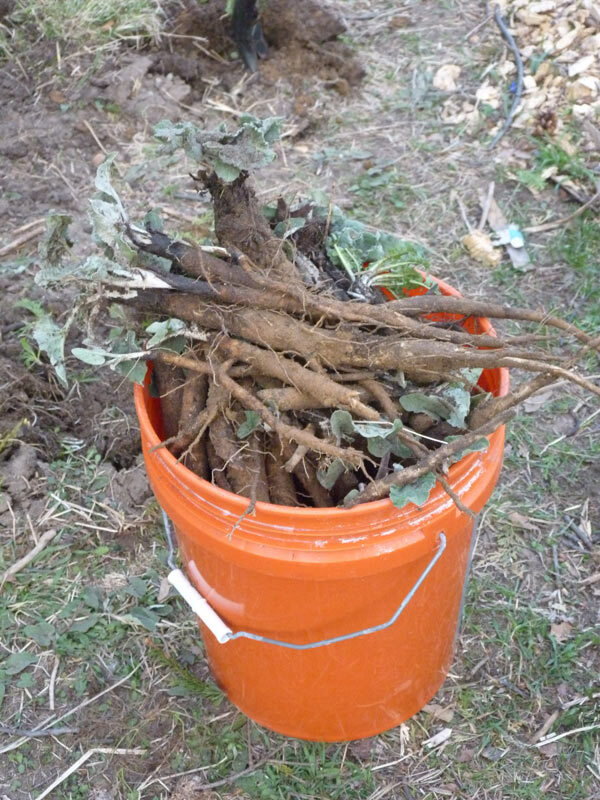 Burdock root is best dug in early spring or late fall in late fall. 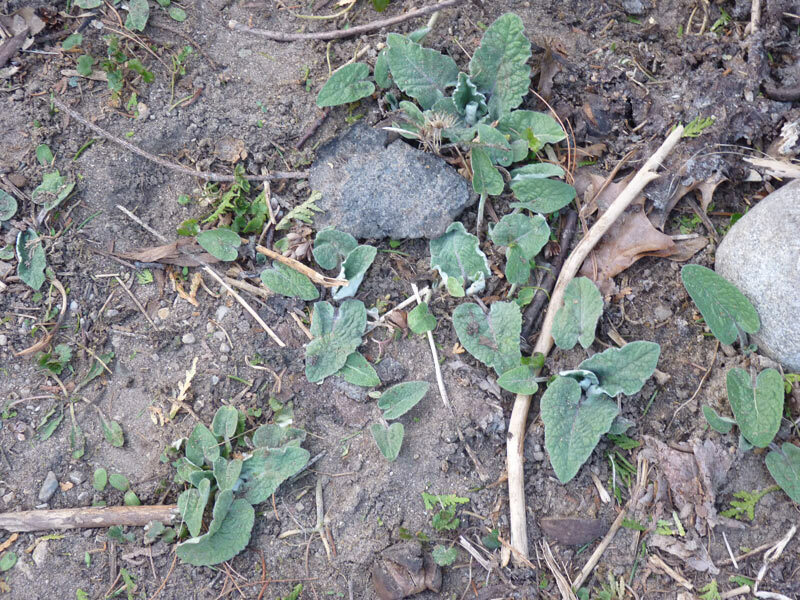 I have a healthy burdock patch on my property, and more comes up each year. I let the seeds fall in the fall and try to push them into the ground with the bottom of my shoe (being careful not to have them stuck to me), because I want the roots and stalks for good eating :). 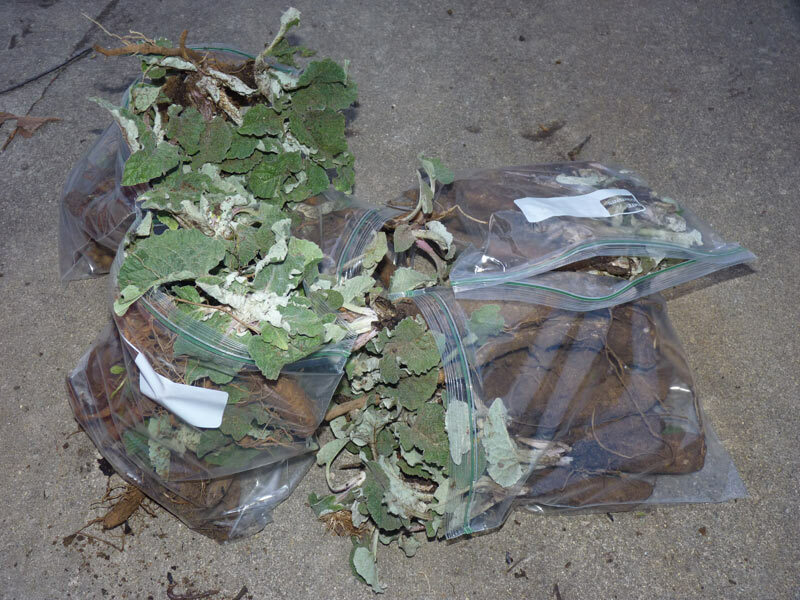 Based on some tincturing experiments by my dear friend Sara and consultations of some herbals and my herbal instructor, we’ve concluded that the inulin in burdock, which is a source of much of its medicine, is much higher in the fall than in the spring (the plant likely lives off of inulin in the winter to survive). Inulin is a natural carbohydrate found in many plants. 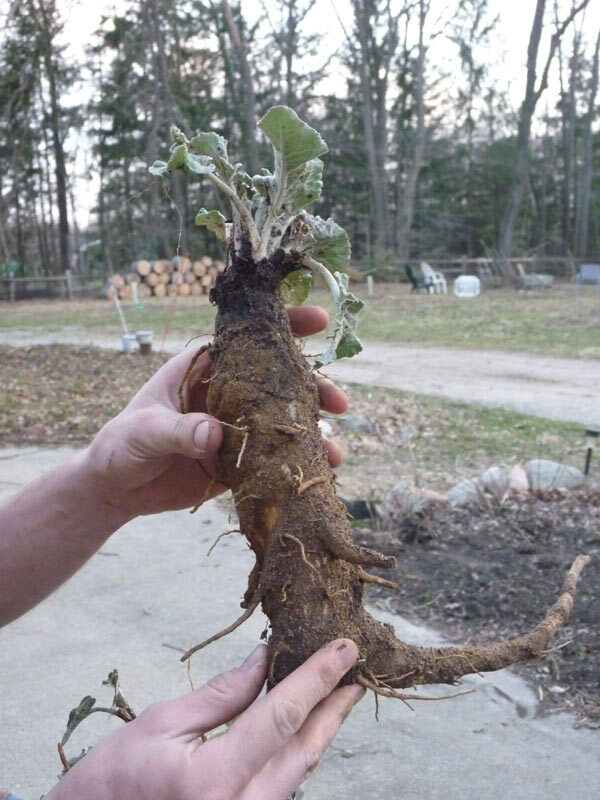 So you will want to keep that in mind when gathering your burdock roots. Late Fall Harvests: The leaves die back in the fall, sending their energy back into the roots. After a good hard frost or two, the burdock leaves will mostly die back on the first year plants. This is the time to harvest the roots, especially for medicinal purposes. You can wait a while to gather after this point, however, eventually the ground will freeze and then you won’t be able to dig the roots deeply. Its easier to identify the burdock in the fall, with its huge green leaves and long skinny stalk, and fuzzy green (and later brown) burs. 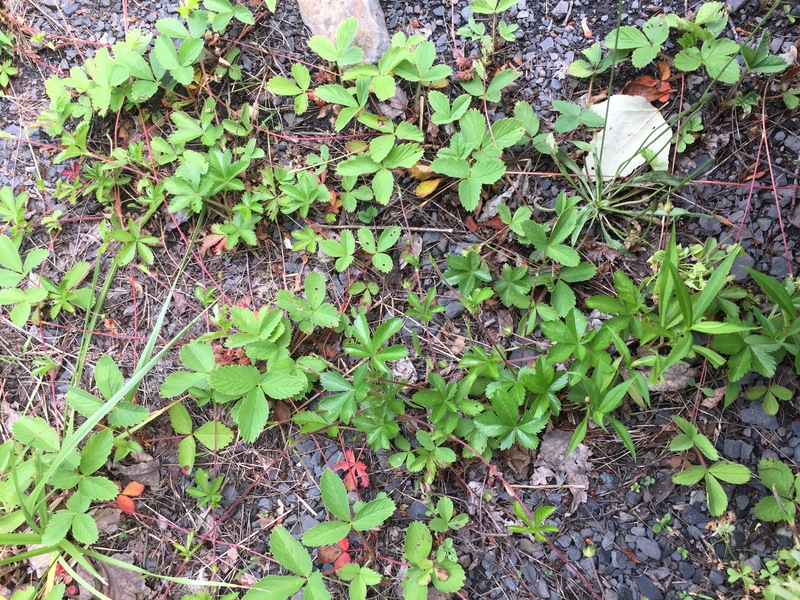 Usually first and 2nd year plants will be near each other–2nd year plants die off and go to seed at least a month before the 1st year plants lose their leaves. Early Spring Harvests. 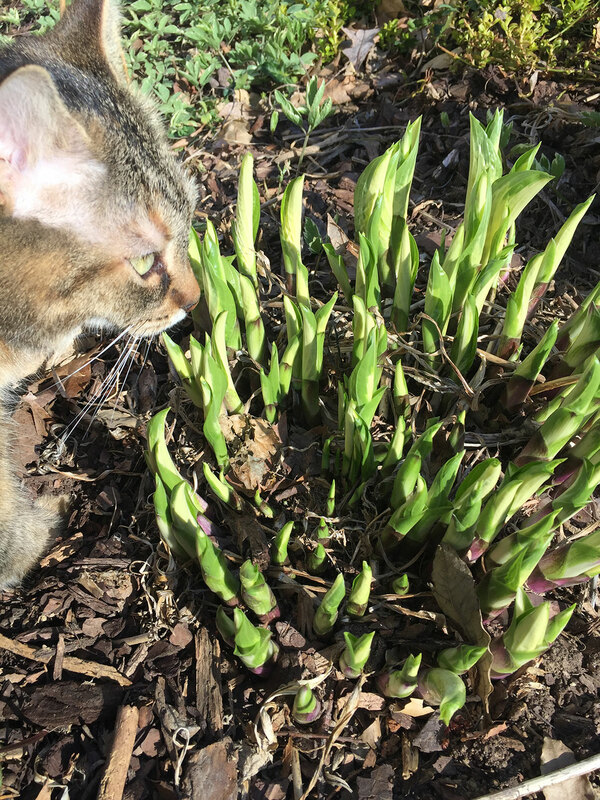 Likewise, in the spring, the energy is still in the roots, where nutrients were kept all all winter long, and the nutrients push those nutrients upward and outward and leafy greens and flowers emerge once more. 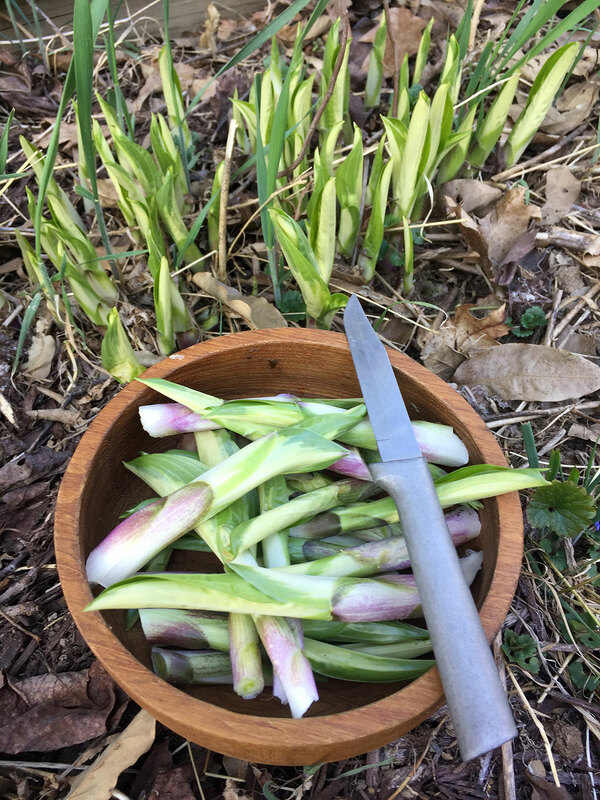 Before that energy returns completely, however, early spring can be a prime time to gather root crops like cattails and burdock. Once the plants just peek above the soil (or the water, in the case of the cattail) then you are ready to harvest. The key with harvesting root crops in early spring is to harvest them early, just when you see them peeking up and can identify them. The longer you wait, the more energy from the roots goes into the leaves, and the roots become less tasty and nutritive. .In early spring you want the early 2nd year plants (the ones that didn’t go to seed the year before). While its easy to identify burdock in the fall, its still pretty easy in the spring once you know what you are looking for and where to find it–soft, light green heart shaped petals, usually growing in small clusters. The spring clusters will first have two leaves, and then a small rosette. They will have the distinctive burdock smell–slightly bitter. They come up at the same time that the violets bloom, and generally (at least here) before the dandelions bloom. 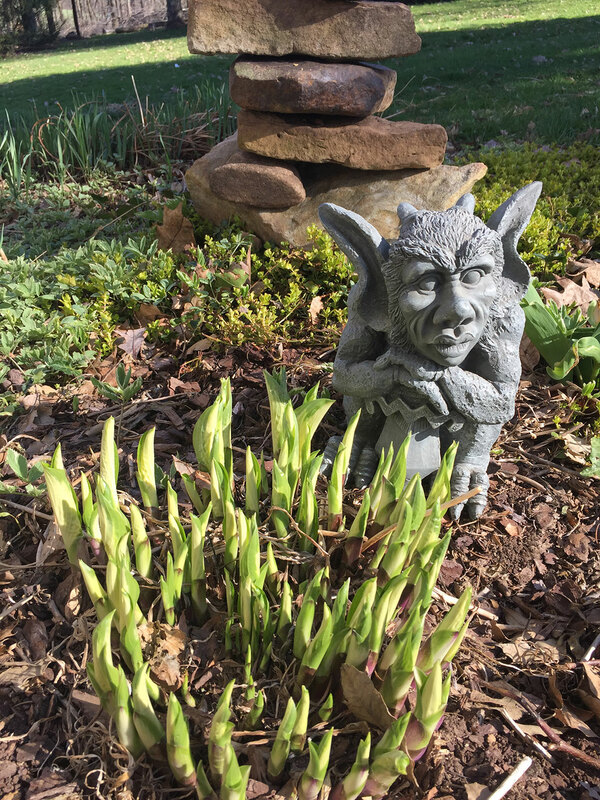 I knew exactly where to look this spring, just in front of my garden along the pathway. Here are the rosettes of the freshly sprouted burdock plants. These burdock plants have to be dug up, because eventually if I let them remain, they will grow burs and the burs will stick to me each time I try to enter my garden. The following photos are from my spring burdock harvest. The fall burdock plants have much bigger leaves! Once you find yourself some burdock rosettes, the real fun begins. Ideally, you’ll have a long, narrow shovel (called a drain spade, like this). I don’t have such a shovel, so instead, I put the shovel on one side of the burdock and jump on it, going as deep as I can. Then, I do the same thing on the other side of the burdock. One one side, I dig a small hole as far down as I can next to the burdock root, and finally, pry as much of it as I can up with the shovel. Rarely does the whole root come up, but there is plenty for me to work with using this method. The drain spade is MUCH better. 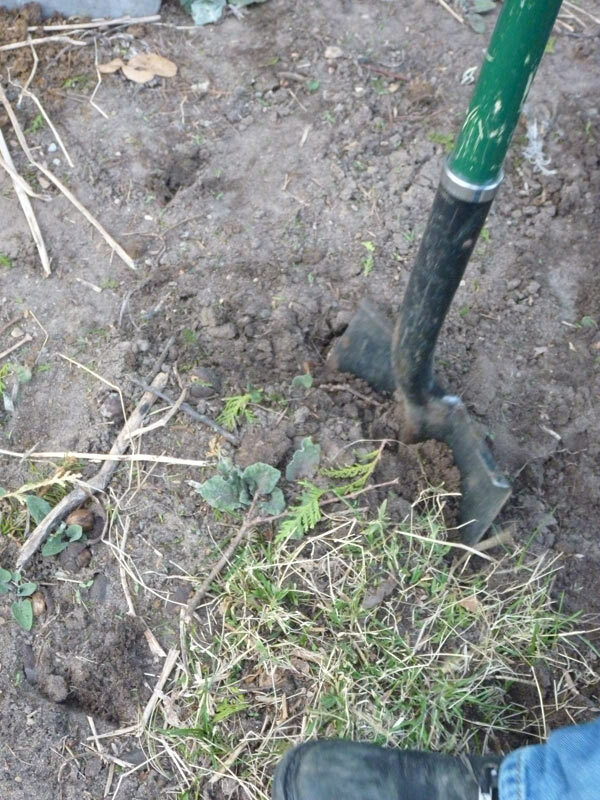 The key to buying a good burdock digging shovel is that it is sturdy–place your foot on the middle of it and try to bend the shovel. If the shovel bends badly, its no good for burdock digging and you’ll break it on your first time out. While you can get massive roots out of the ground like the one featured in the image below, these are usually more woody and a bit hollow on the inside. Sometimes they can get long black cracks as well. They are still ok to eat, but the younger roots, less than a year old, are much more easy to work with. The day a friend and I were digging burdock, we filled up a 5 gallon bucket in less than 30 min. We harvested in about a 15′ square area, and there is still a ton of burdock out there for the harvesting. After we harvested the burdock, we didn’t wash it (you want to wash it right before you eat it to avoid any water loss–water loss is one of the biggest challenges for storing vegetables, even short term). Instead, we put it in bags and stuck it in the fridge. You also want to chop off all the green heads–the greens will cause water loss. Storing in a root cellar would be better for this, but alas, I don’t yet have a good root cellar. 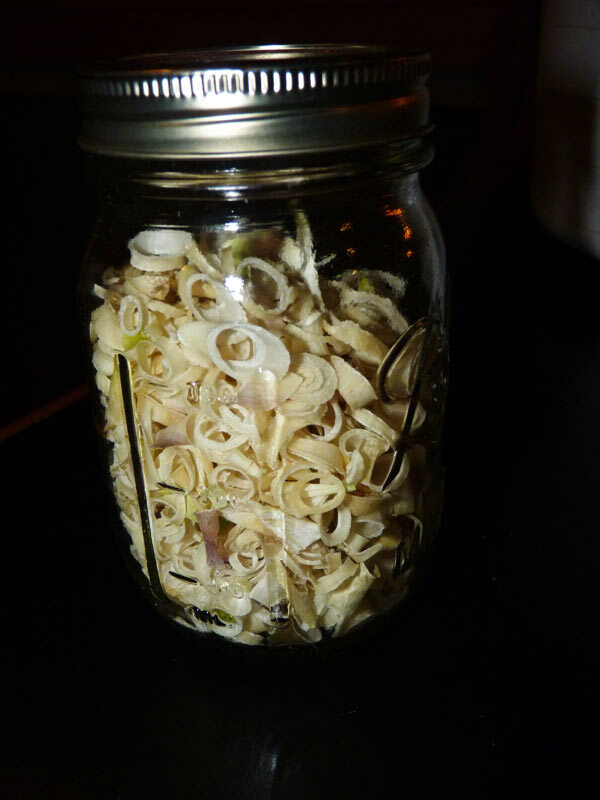 To prepare burdock root, you’ll want to start by washing it well. I use a carrot scrubber, which gets off most of the dirt. I don’t wash my burdock until right before eating it. Once you scrub the dirt off of it, you can peel it (I find peeling pretty much necessary b/c its impossible to get fully clean). You’ll see that it looks and acts like a carrot–this is true for the whole preparing process. 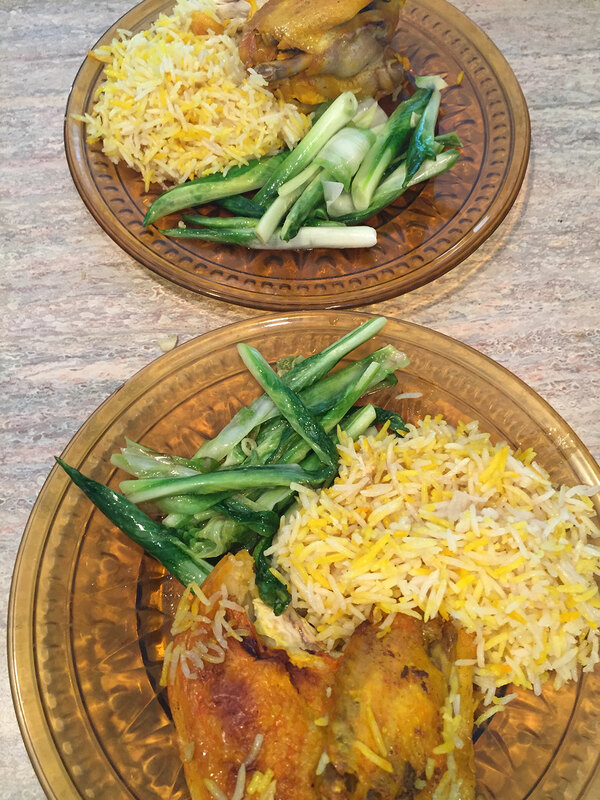 You can cook it in the same manner you would a carrot, and it has a similar cooking time. 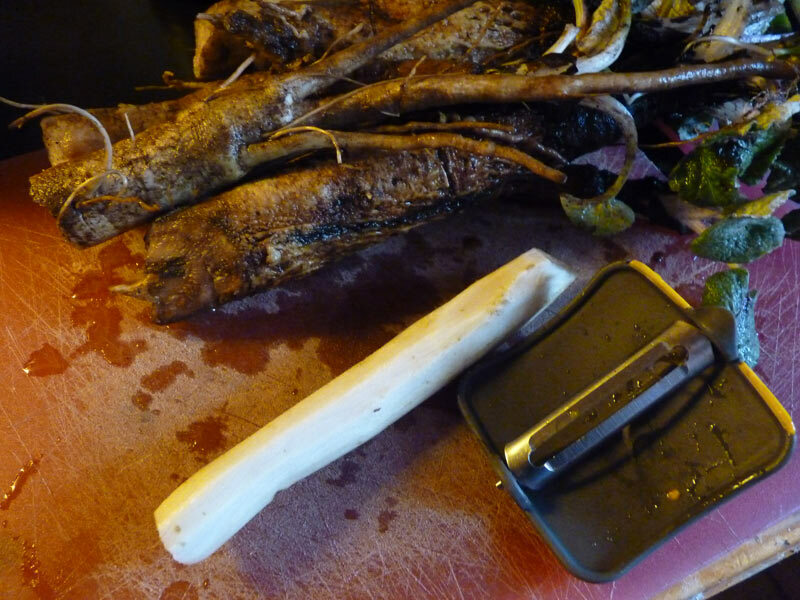 I sliced up this burdock root and threw it in a pan to saute. 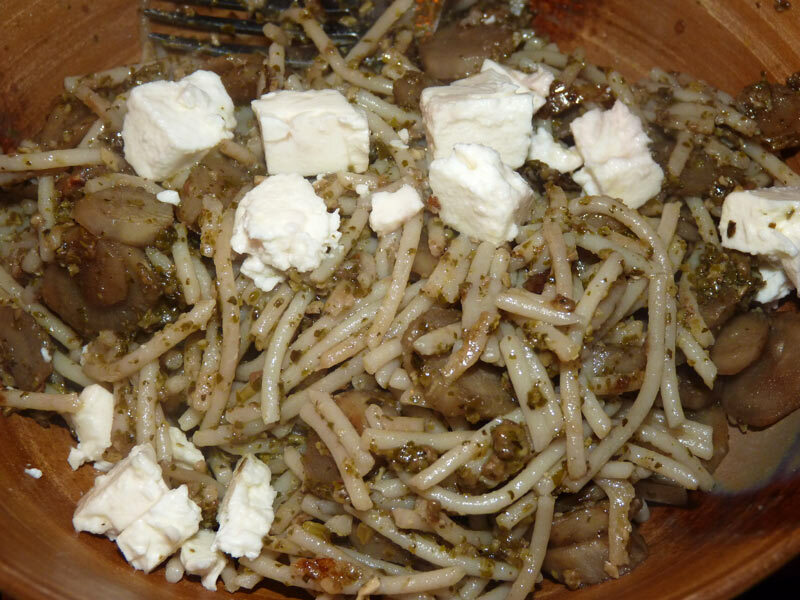 I then added some leftover rice noodles, leftover pesto pasta, and topped it off with feta cheese. Nums! Burdock root doesn’t show up a lot in western cooking, but in Japan, it is a highly valued ingredient (you can search for “gobo root” and find all kinds of awesome recipes). I think its really delicious in the right kind of meal. I treat it pretty much like I would a carrot in terms of where I would use it. In terms of taste, I find burdock to be very mild and slightly sweet. 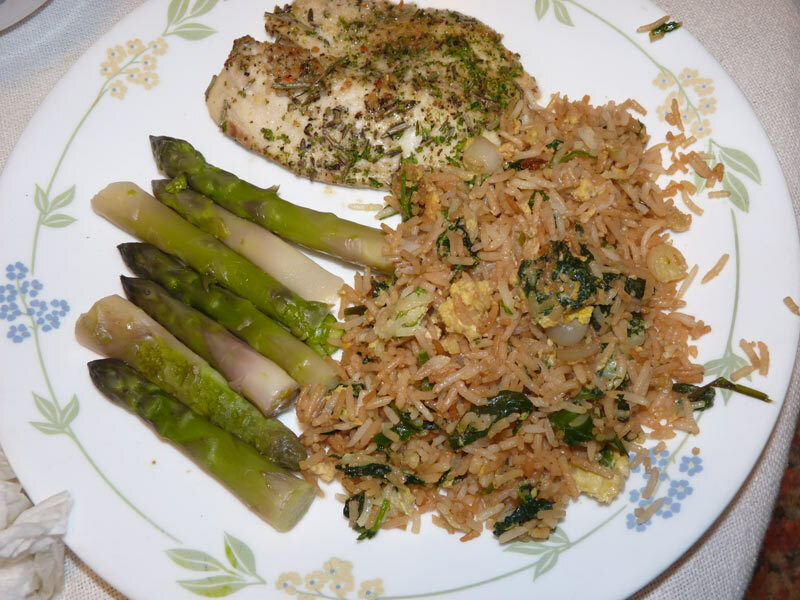 It tastes kinda nutty and earthy, and I find that it compliments many dishes. 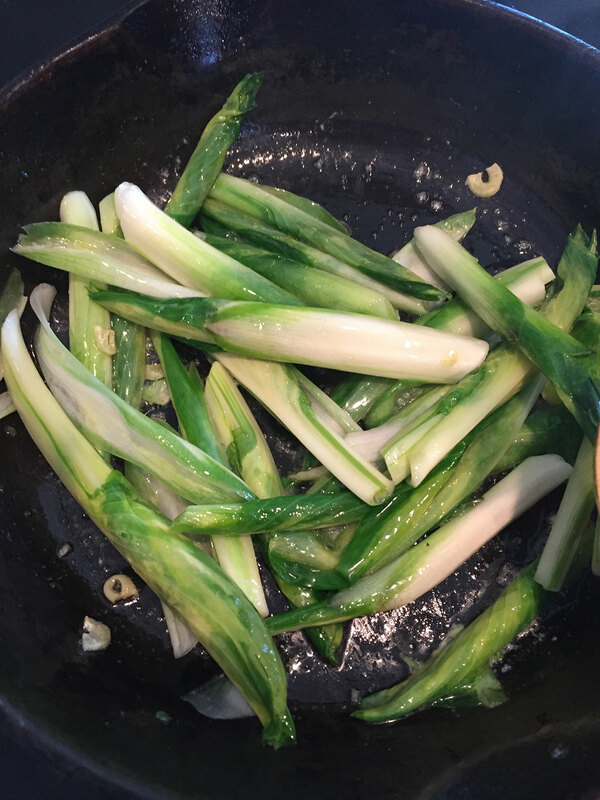 Since it also has tonic, regenerative, and nutritive qualities, its just great to eat when you can get it. Its also a fantastic food because traditionally one would have long ran out of carrots by this point in the year, and burdock root would get you through the “hunger times” of early spring. 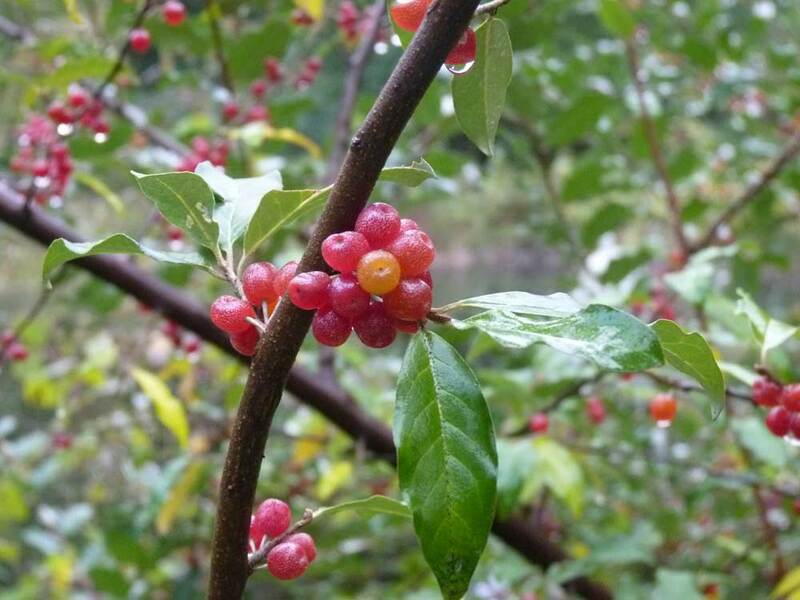 Autumn Olive (also called Autumn Berry, Japanese Silverberry, or Spreading Oleaster) is a bush that is native to China and is considered an “invasive” in the USA. In a good part part of the 20th century, it was used extensively by the US Army Corp of Engineers to hold hillsides in place from the growing highway system spanning the US and to fix nitrogen. The Autumn Olive grows exceedingly quickly; it can rise up several feet in a few months and bush out. 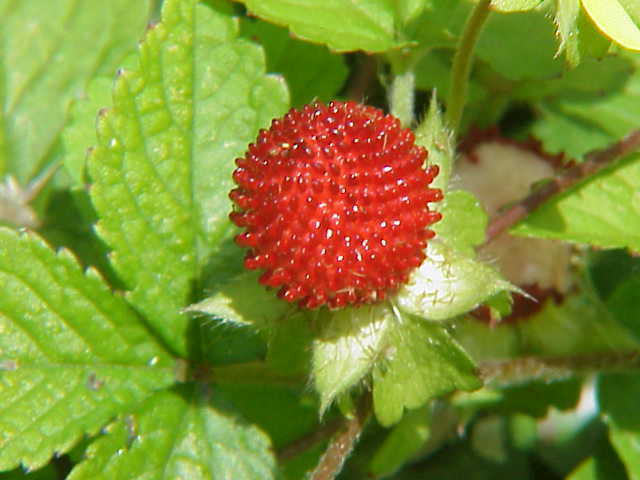 It also spreads rapidly due to its berries being a favorite of birds. It is a nitrogen fixer, so it is often found in abused land areas or landscape areas that are regenerating (like old farmer’s fields or industrial sites); I should add that its one of the few non-legume nitrogen fixers we have and it does fill an important role in the ecosystem. It is extremely prevalent here in Michigan; I’ve also seen it in Indiana and Ohio and in the warmer parts of PA (like Bedford county). 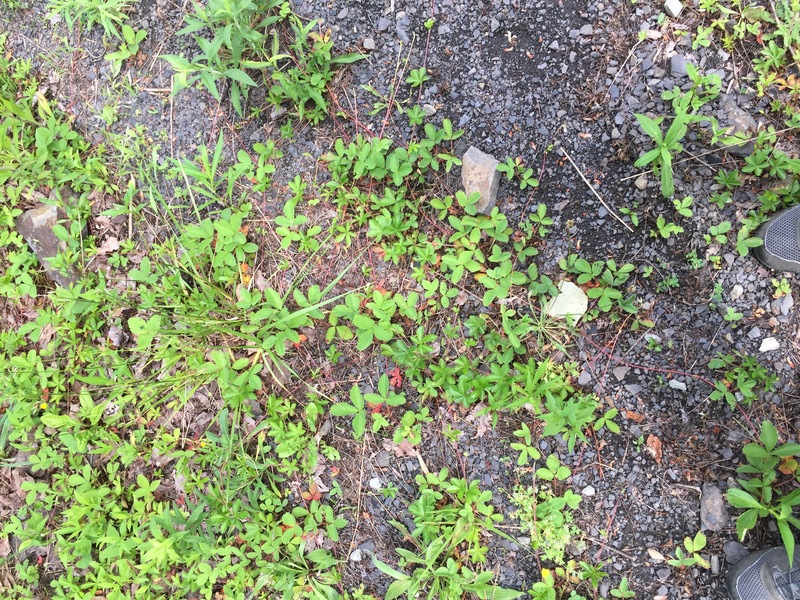 If you search invasive plant sites or talk to people, they will often call this plant a menace plant. 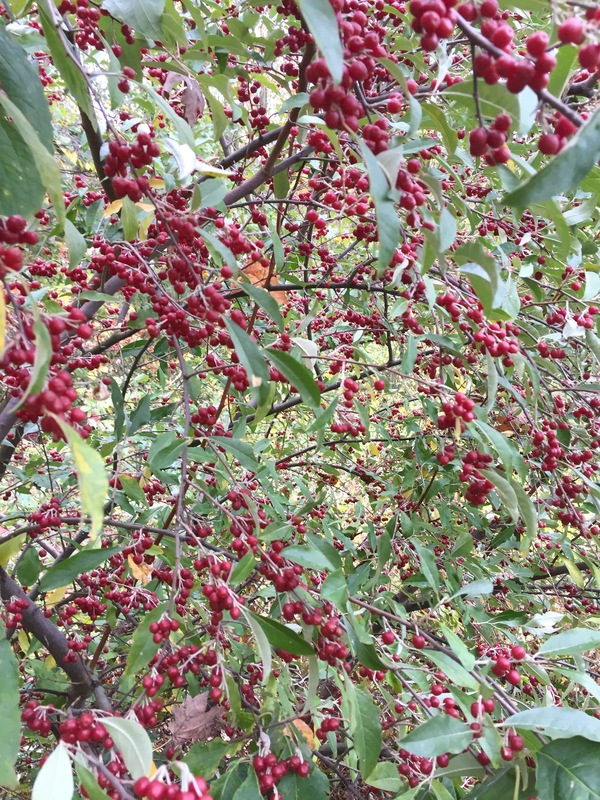 And while this bush does spread quickly, it does have its benefits, especially in the form of beautiful, tasty, autumn olive berries with their incredible cranberry-like tart and sweet flavors. The fruit is extremely high in lycopene (up to 17 times more than tomatoes, according to a USDA report described in the linked article). The fruit also contain high levels of Vitamins E, A, flavionids, and fatty acids. Underripe fruit are high in tannins and are very astringent, but as they ripen, they get much sweeter (especially after a bout of cold weather!) 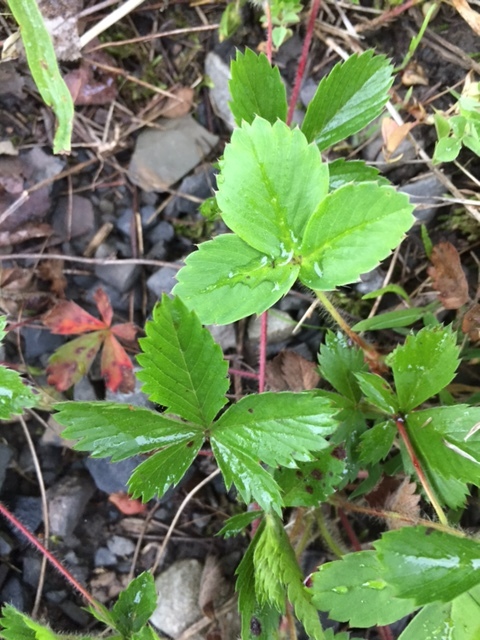 I know that there are people exploring commercial cultivation of this plant due to the berries’ nutritional value and the plant’s ease of growing. And they are super tasty! 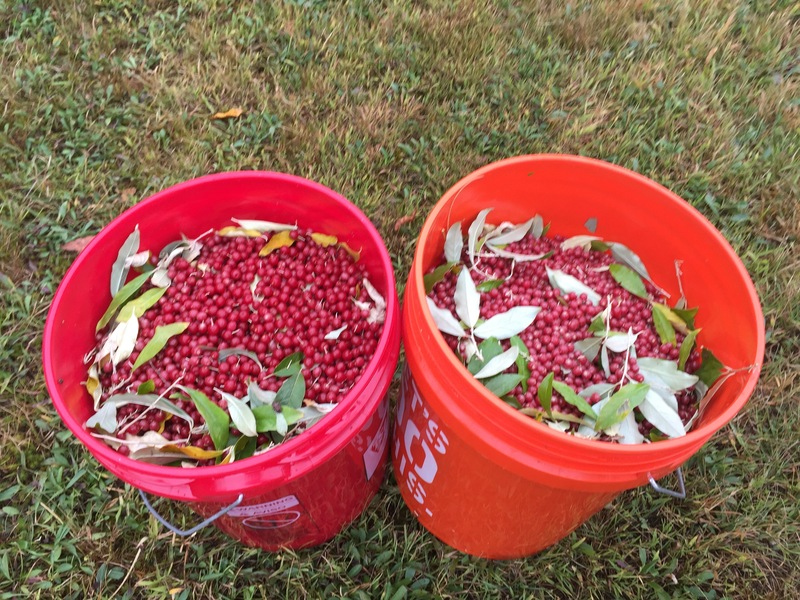 10 gallons of autumn olive in one hour with three people harvesting–when its good, its really good! And this many takes a very long time to process…lol. After 3 years of growth, the Autumn Olive bears fruit. You should look to start harvesting it somewhere in September, usually around the Fall equinox (if you live in Zone 6a like I do). A good year of fruit can have up to 8 lbs of fruit per bush (I have found that in Michigan, we only get this kind of abundance every few years). The fruit is really delicious and tart and not really like anything else out there. The closest thing I can think of is a cranberry, but autumn olives have no bitterness and are more tart. A very abundant fruiting bush! Autumn Olives flower in the spring, and have quite a pleasant smell and nectar that my bees certainly appreciate. Seeing how many flowers there are in the spring should give you an idea about how much fruit you will find in the fall. 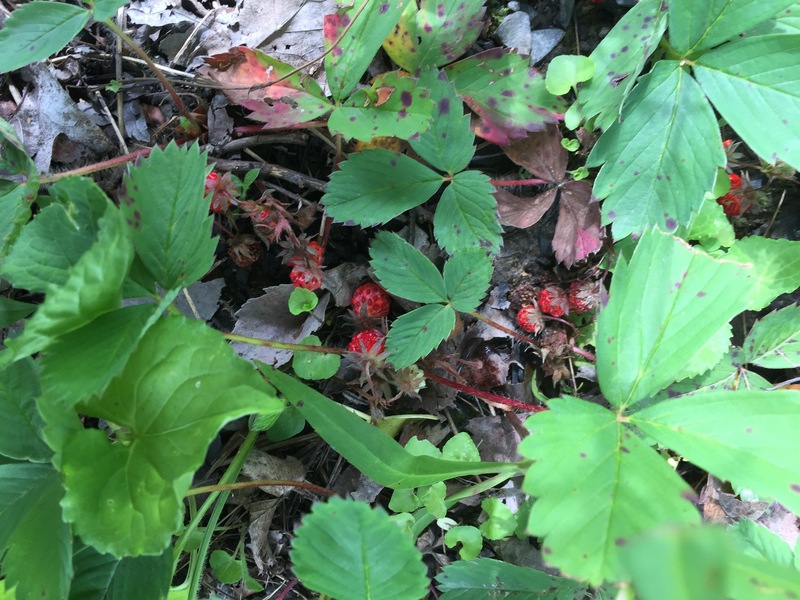 Sometime in early September to mid October, the berries ripen going from green to orange to a dark red. 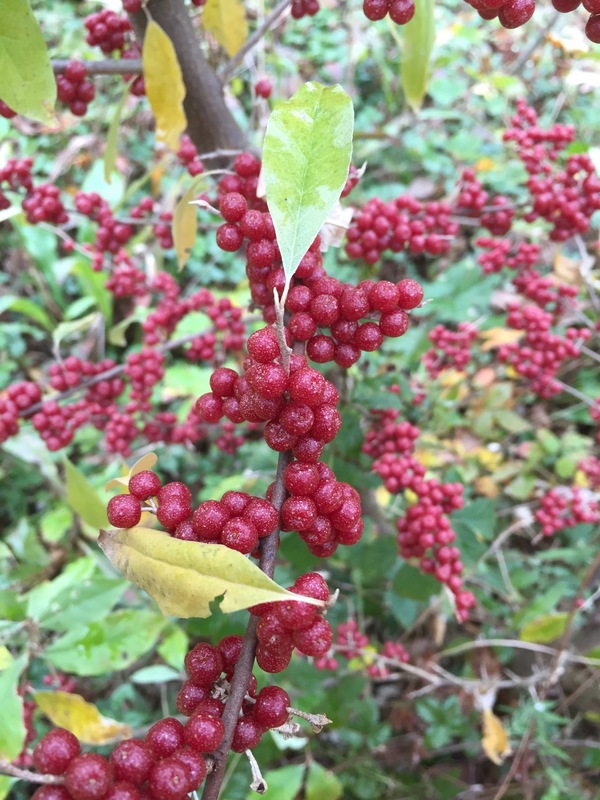 It is when the whole bush is red, a deep red, and the berries are ready to fall off (and you see the birds eating them), that they are ready to pick. If you see orangish berries still on the bush, its not ready, and you should wait a few days. Tasting the bush will confirm this–even the red berries on a bush with orange berries aren’t going to be a sweet. Be sure to pick ripe bushes before a big rain….if the fruit are quite ripe, they fall off the bush easily and a hard rain will knock them all to the ground. I had a bush I was enjoying this year, the first to ripen on my property a few weeks ago. A big storm came and dropped them all to the ground before I was able to harvest them! 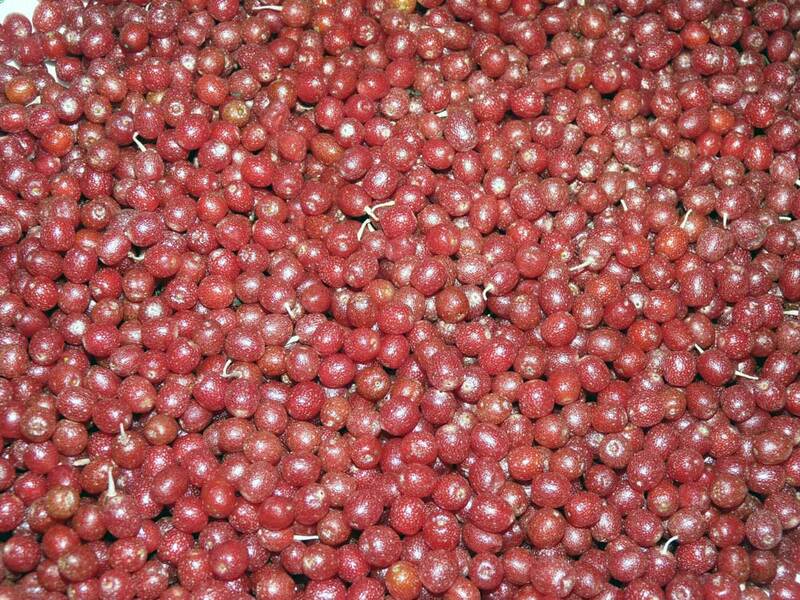 Each bush also tastes slightly different–some are more tart, some are more sweet, some are more flavorful. 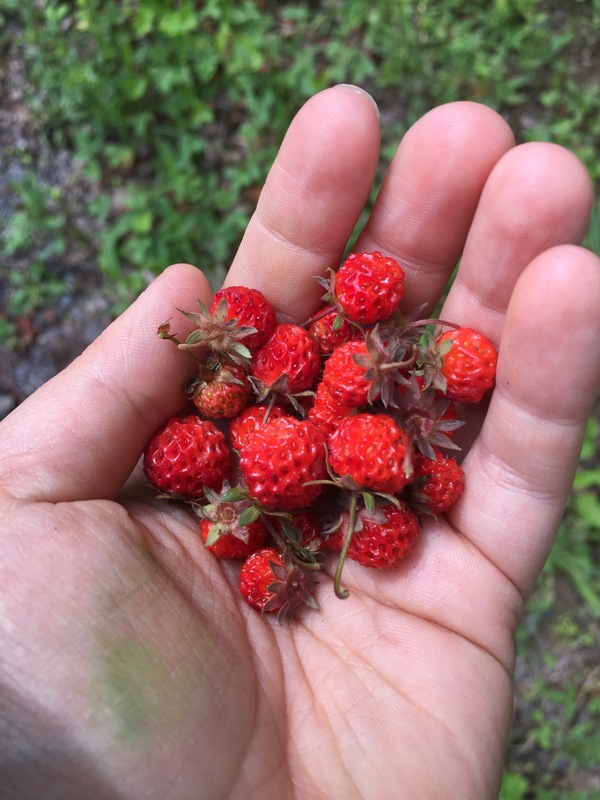 When I am picking, I will go from bush to bush and taste a berry or two on each one. When I find a bush that tastes good, that’s the bush I pick (they are so abundant that I can skip bushes if I want). If the fruit on a particular bush tastes too astringent, wait a few days and come back–it should ripe up soon enough. I love the diversity of flavors that the different bushes produce, and so, I have certain “favorite” bushes I visit each year. In a good year, two people can pick several or more of autumn olive in an hour or so (our record is in the photo above–10 gallons in one hour with three people But that is a bit of a rarity. More likely, its about a gallon per person per hour. In any year, the autumn olive is absolutely worth your time to pick. Autumn olive makes fantastic jelly and fruit leather due to its tart quality. Its not always like this, but when it is, don’t miss out! I’m going to walk you through the process of making an Autumn Olive Jelly, with photos, because this is one of the best ways to preserve these delightful fruits. 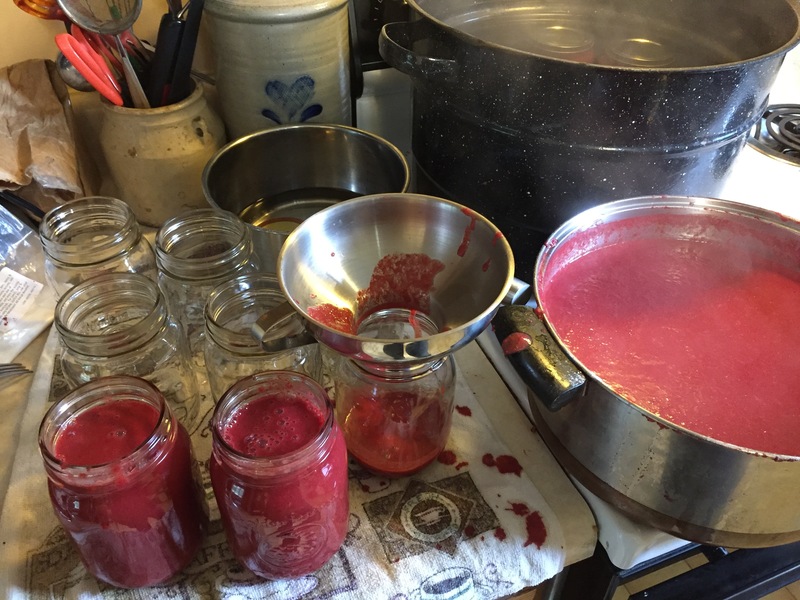 One thing about the jelly–the fruit juice tends to separate from the fruit pulp as it sets, so you get these interesting mottled looking jars of jelly. I think they look kinda cool, but they might be a turn off (and frankly, that’s fine, because that’s more jelly for me). 1. Wash and prepare your berries. You want to wash your berries and also sort through them to make sure you don’t have any foreign objects, bugs, etc. This process is called “garbling” (and I have no idea where that term came from). 2. 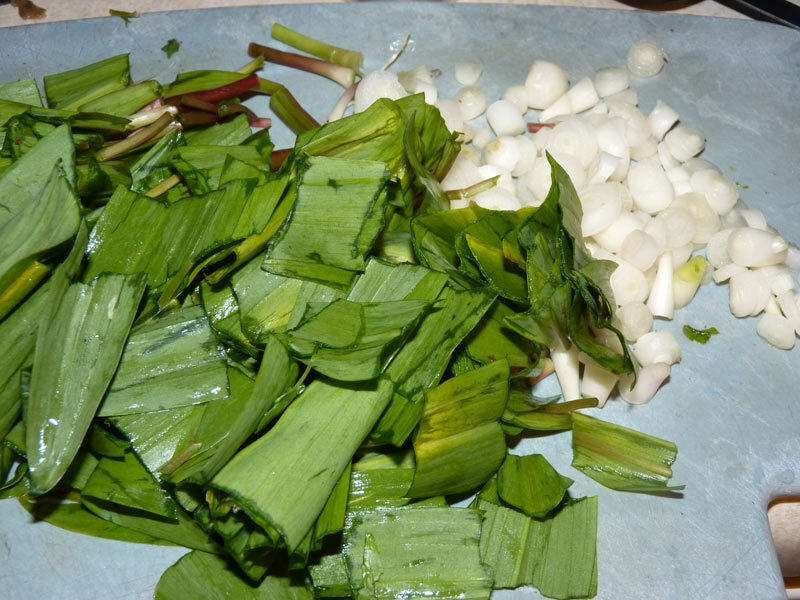 Add them to a big pot and begin cooking. Add them to a big pot and put your burner on medium high. Autumn Olives in Pot! That’s quite a lot! 3. Cook and mash your fruit. 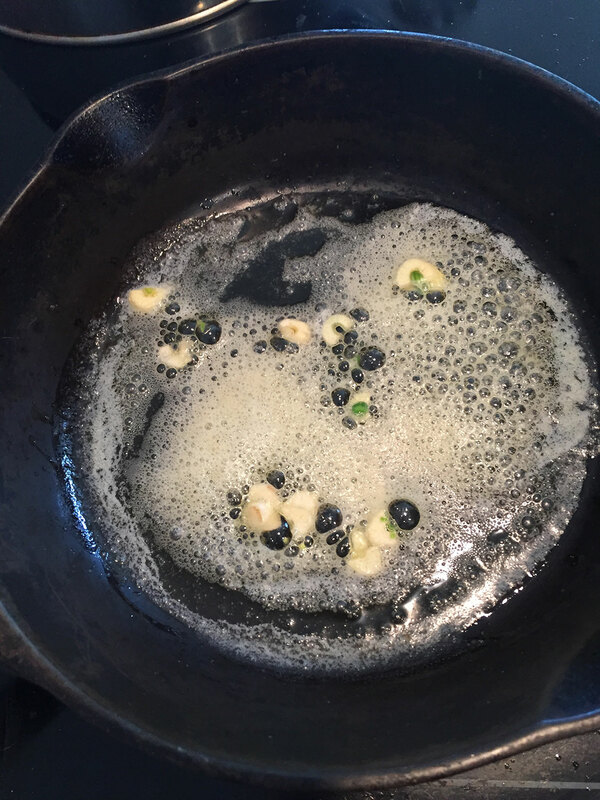 You want to cook down the berries so that they are hot, and mash them down as you are cooking. Make sure to stir often so you don’t burn your berries. Once they get good and watery and they are broken up, continue onto step 4. 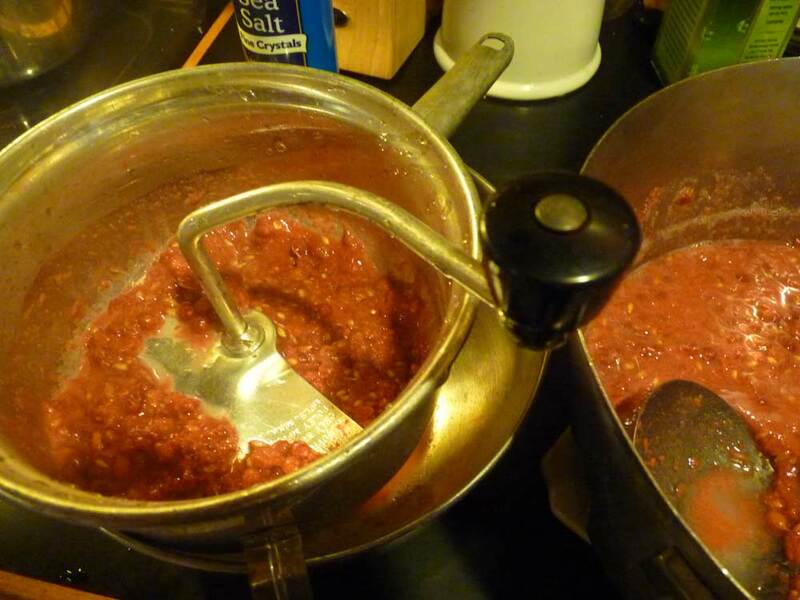 If you don’t want to mash your berries by hand, the alternative is to use a stick blender. 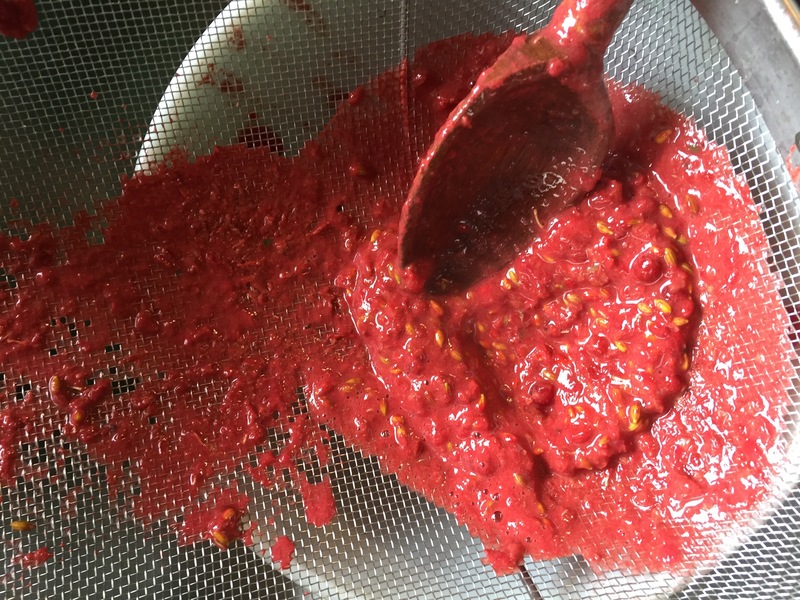 This makes VERY short work of the berries, but you will still need to cook them down a bit to have them go through the food mill or through a mesh strainer. 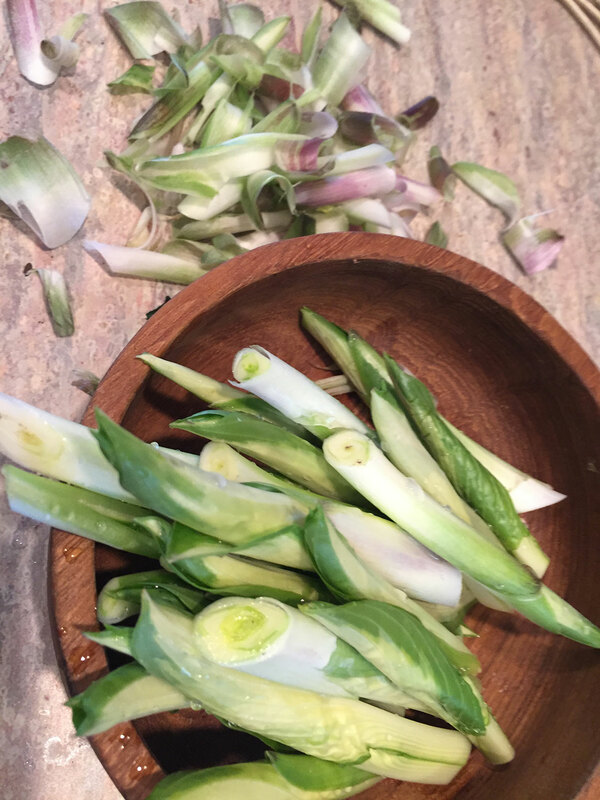 Before they are cooked, they don’t get as smooth as after, and that makes it hard to get the seeds out. Be careful you don’t splatter them everywhere….I left a real mess in the kitchen this day. 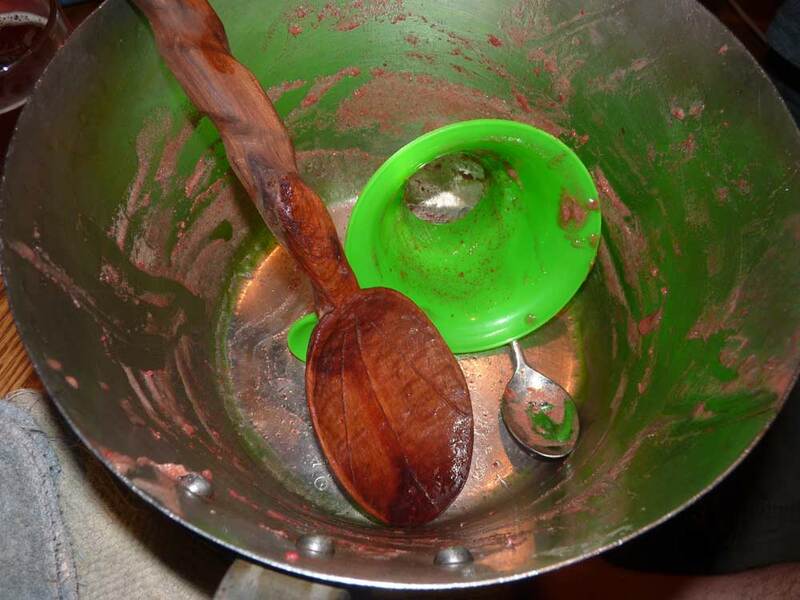 The alternative is to use a metal strainer and a wooden spoon. Get a strainer with pretty large holes–it makes it MUCH easier. 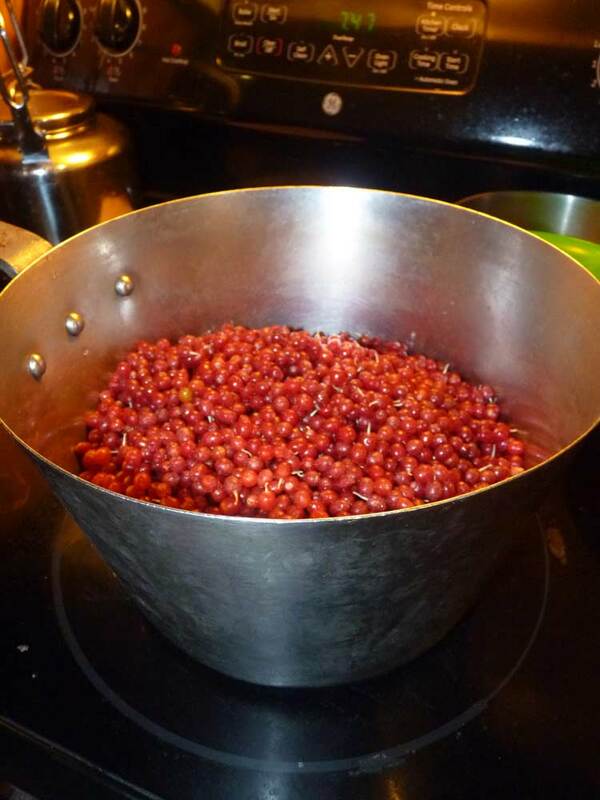 One like the one in the picture works well–I processed 6 gallons of berries using this method in less than an hour. 5. Prepare canner and lids. Measure out autumn olive juice and get it back on the stove. You need to measure out your juice so that you know how much you have for the purposes of adding pectin. 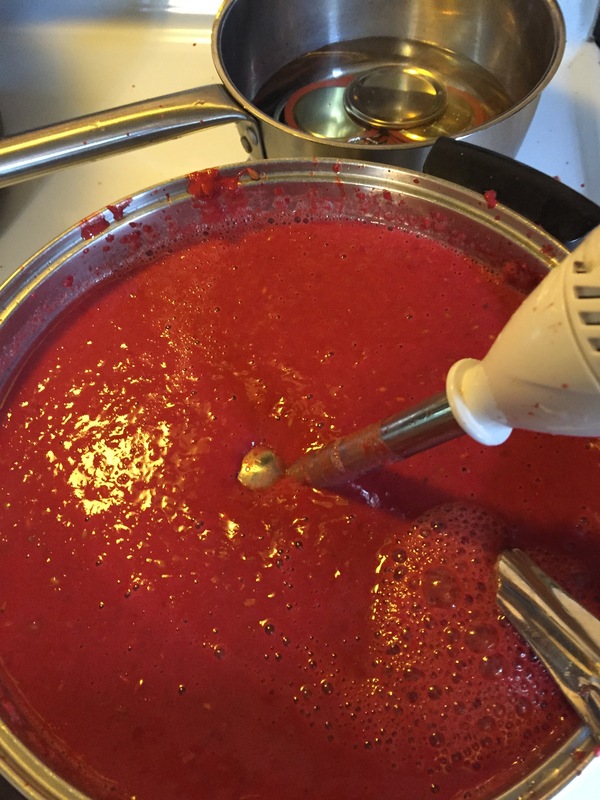 The juice will be this awesome beautiful pinkish red…it might have foam. That’s ok. I will explain what to do with that in a bit. 6. Prepare pectin: add calcium water to mixture. You might notice that many recipes call for nearly 50% sugar. I don’t find these recipes healthy; they are too sweet and full of calories. The sugar masks the real quality taste of the berries. 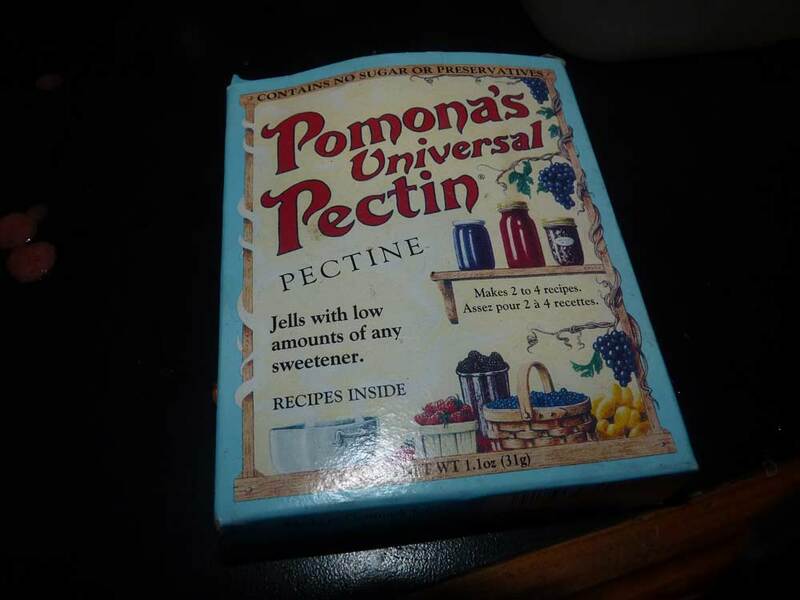 I found pectin called Pomona’s pectin – it allows you to can with much less sugar or to can with honey or maple syrup. So for this recipe, we are using Pomona’s pectin. You can follow the directions on the label that are specific for jelly (like using grape juice). To use this pectin, you will mix up calcium water and add it to the fruit. Next you mix the pectin itself into the honey. 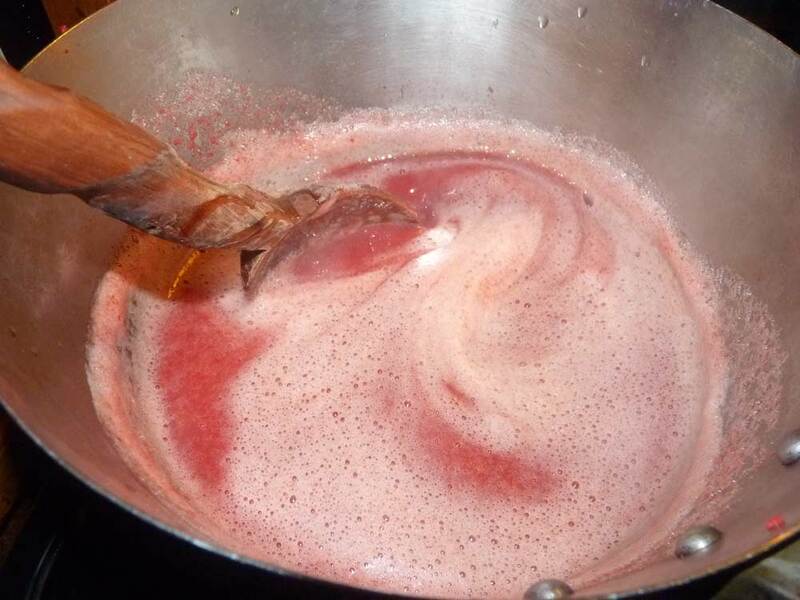 Finally, you mix the honey into the berry juice and bring it to a boil for a short amount of time. You can use the ratios on the instructions; I found that only a little honey is needed so I have been using 1/2 cup honey to four cups autumn olive mix. 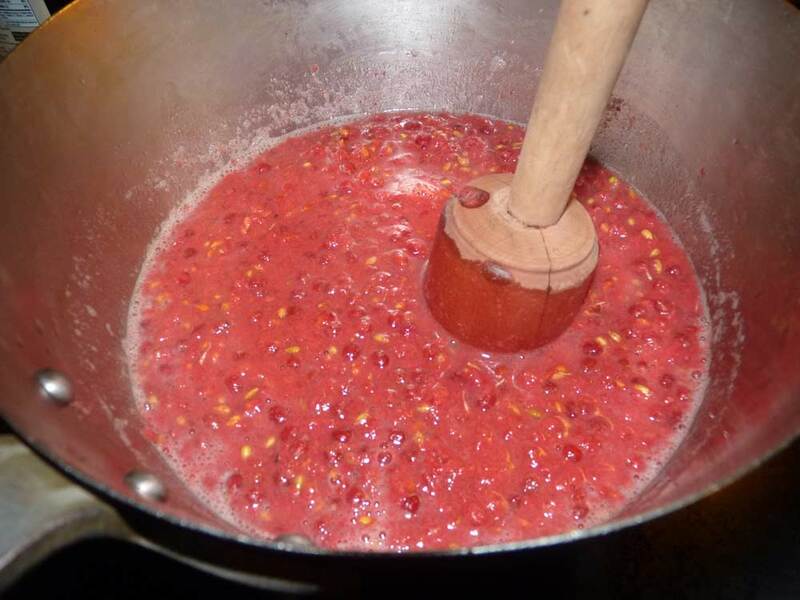 You can also add a little lemon juice–that makes a really nice addition to the jam. 7. Add mixture into jars and hot water bath process for 20 min (1/2 pints). If you have foam at this point, you can skim it off and put it in a jar. It will solidify, and then you’ll have a delightful treat to eat with a spoon. You can store the foam in the fridge and enjoy a scoop whenever you like. 8. 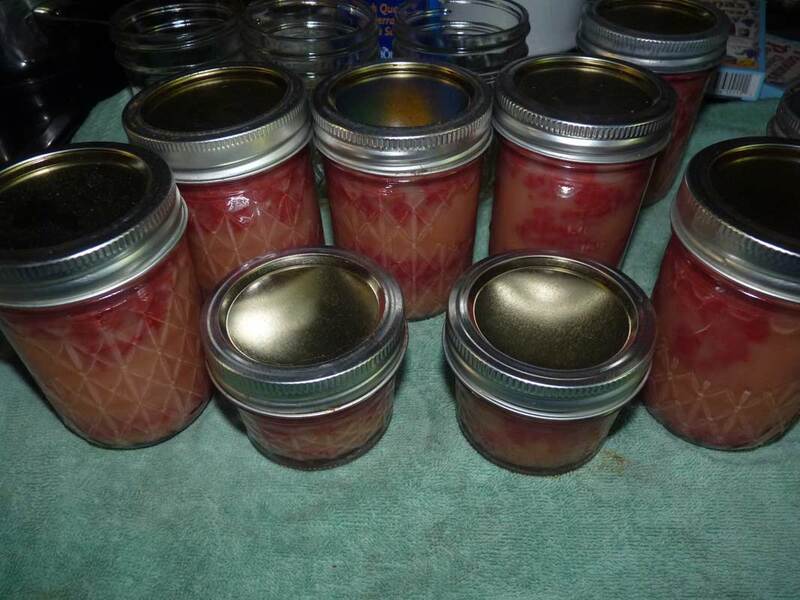 While jars are processing, lick the spoon and enjoy the leftovers in the pot. Trust me, you don’t want to skip this step. 9. Pull out of canner, wait till jars seal, and enjoy! You will notice that autumn olive separates a bit as its sets. This is perfectly normal, but does look a bit weird. The good news about it looking weird is that if someone is going through your cabinets looking for something to eat, they might be less inclined to eat your autumn olive jam, so I consider this a natural defense mechanism. The jam is delicious! 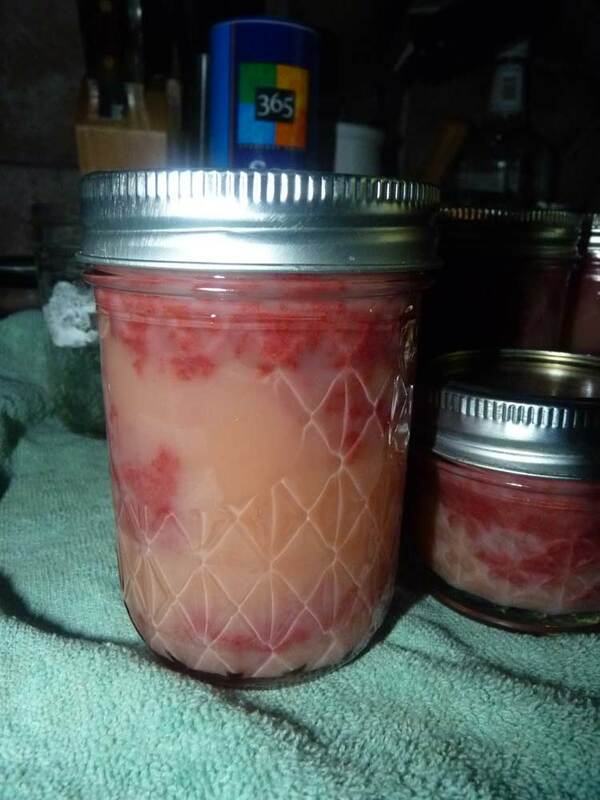 Strange looking jam! Keeps people away so you have more for yourself. Get as much as you can! Now if you strained this, you could probably get rid of the spoltchyness and only have one color of jelly. But I like the way it looks, with its interesting patchwork colors and shapes. Enjoy this often! 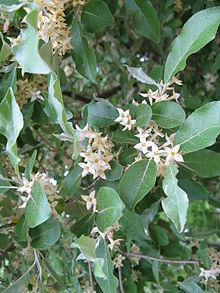 Finally, I want to direct you to also read Sam Thayer’s Autumn Olive page, because he has a lot of great info on this wonderful plant in terms of pounds per acre and so on. He suggests that some are considering commercial cultivation of these wonderful fruits because of their vitamin and mineral content, nitrogen fixing ability to regenerate the soil, and potentially high yields.